If you’re moving to or from the Maidenhead area, A-Team Removals Maidenhead is here to help. Based in nearby Bracknell, we’re a small, family company, with 25 years’ experience of home and office removals in Maidenhead, Berkshire. House removals is a specialist area and our team is experienced in streamlining the moving process for clients. 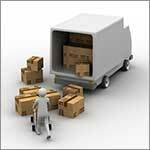 For example, our packing service will free up your time to focus on other aspects of your move. With many years’ experience in house removals Maidenhead, we can provide and advise on the most appropriate packaging materials to use too. We pride ourselves on handling your furniture and possessions with the greatest of care, so you can rest assured that they will arrive at your new home unharmed. We can also provide storage if required. Visit our Testimonials page to read about some of our previous clients’ experiences. Moving house or office can be stressful, but choosing a reliable removal company like A-Team Removals is a good first step in ensuring everything goes smoothly. Whatever your moving requirements, why not get in touch with one of the most reliable Removal Companies in Maidenhead, for a free quotation? Call us on 01344 457416, or email us at info@a-teamremovals.co.uk or visit our Contact page.